As a beauty blogger, I get to try many beauty products but often times I have so many coming in, that I use them long enough to do my review, then move onto the next product and eventually end up giving my prior beauty products away to friends and family, or completely forgetting about them all together. Every once in awhile, though, I will come across a beauty product that there is no way I’m giving up! I may have new beauty products coming in to replace it for my next review, but you can bet I’ll be right back to this must-have beauty product as soon as I’m done trying out the latest. AND it’s a product that I will still purchase when I run out, even though I am already receiving a ton more of that same type of product from other brands! Well, this amazing Sugar Body Scrub is one of those AHH-MAZING beauty products (sorry friends and family, but I’m not passing this off to you!) This product is just too good, and I want it all to myself! 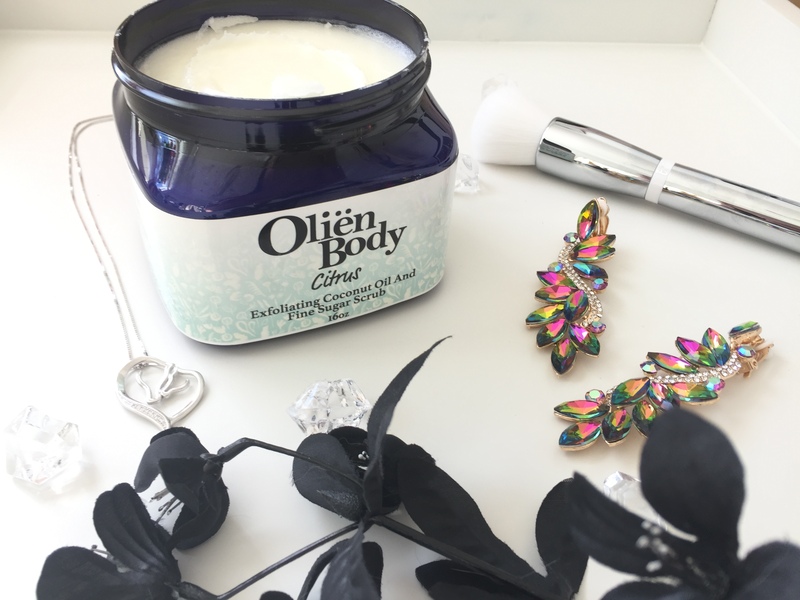 Unlike a lot of sugar body scrubs out there, that are mostly sugar and usually pretty dry until you add a little water from your shower to it, this must-have citrus scented exfoliating coconut oil and fine sugar scrub from Oliën Body is incredibly moisturizing! So rich and creamy, I feel it instantly hydrating my skin, even in the wet shower! It is thick and luscious, and even my super dry heels look and feel much smoother and softer instantly when using this awesome scrub! It also smells incredibly delightful too!